Pain For Performance Solutions is an integrated manual movement therapy clinic for Pain Management, Injury Resolution, and Sports Performance in Bellevue, WA. Everyone wants a quick fix, it’s the day of instant satisfaction, but is that really realistic? You’ve been to so many places and still not getting the results you want. I would love to provide that magical change for you that has not happened yet, but we have to be realistic. Once you are feeling the pain it has already been there for 10 years and has been stored in the motor control of your brain. The inflammation that is causing the pain may have accumulated through your other body systems inhibiting proper function. It takes a reasonable amount of time and commitment to re-educate the problem. Here is were I am different, I test I don’t guess. I integrate a number of neuro based bodywork modalities with neurological based testing techniques and state of the art strategies, I use different ways to show you the difference between before you came in versus after your session. We provide depending on your bucket of inflammation and function; a realistic time frame for short and long term results. For better posture and injury treatment Alexis is well versed in a variety of interesting massage modalities including deep tissue, medical massage, Ashiatsu Deepfeet Bar Therapy, Ashi-Thai, traditional Thai massage, and Posturology (to name a few). Her office is clean, organized, comfortable, and trends more toward a streamlined and professional aesthetic than you often encounter at a therapist's private practice. If you want a therapist who is serious about massage, Alexis is your gal. The deep tissue massage I had was such a great experience, I scheduled my next appointment before walking out the door! I have had many massages but what made this one different is the time Alexis spent to really focus on my problem areas. I would recommend her to anyone! Ashiatsu Deep Tissue Massage with Alexis has been an essential part of my program to get fit and stay healthy for more than a year. Ashiatsu massage (Oriental Bar) takes deep issue massage to the next level. She is the best in all categories: skill, professionalism, attitude, environment, location, . . . I can't wait for my next visit! After getting a Therapeutic Massage; I waited a few days before I wrote this review, just to see how long the effects of the massage would last. Three days later and I'm STILL relaxed!! I asked Alexis to focus on my poor tensed-up back, AND SHE DID!! With others, I say "MY BACK" and they spend half the time on hands, arms, legs, etc... But with Alexis, she did as I asked, and did it exquisitely well! Did I mention her professionalism and knowledge! People, pay the money and give yourself a treat by going to Alexis!! Massage Lessons For Two is what we scheduled. I enjoyed the massage and the learning experience at Spa Alexis, I love the fact that she knew her stuff, and she helped my boyfriend and I out a lot, now we know the correct way to massage one another. Posture Assessment is what I recently had done with Alexis. She is very knowledgeable and professional. I employ anyone to get an assessment to figure out increase range of motion and/or muscle dysfunction. Do yourself a favor and go see Alexis. 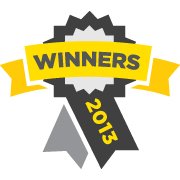 Spa Alexis Massage & Bodywork named Best Massage by Houston A-List voters.